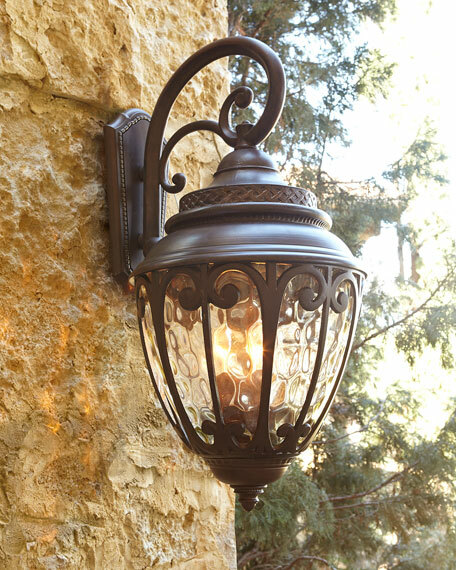 Outdoor lantern sconce made of cast aluminum and optical water glass. Hand painted with a two-step aged-bronze finish. 14"W x 18"D x 29"T; backplate, 4.5"W x 8"T.